Diana Ernestine Earle Ross is an American singer and actress. She was born in Detroit, Michigan on March 26, 1944 to Fred and Ernestine Ross who lived in the low income Brewster Housing Project. Growing up Diana, who was referred to as “Diane,” studied design and seamstress skills in hopes of becoming a fashion designer. However, she got her start in singing in 1959 when Ross was brought to the attention of Milton Jenkins who managed a local doo-wop group. Jenkin’s group was called, “The Primes” and Diana enlisted in their sister group, “The Primettes.” In 1962, soon after graduating from Cass Technical High School, Ross and her group were signed by Motown records founder, Berry Gordy. Diana Ross left “The Supremes” on January 14, 1970 to start a solo career. During the 1970s through the mid-1980s, Ross was among the most successful female artists. By 1980 she has sold more than 100 million records. Four years earlier she was named “Female Entertainer of the Century” by Billboard magazine. After her continuing success as a singer Ross began an acting career in film and on television and Broadway. In 1972 she received a nomination for “Best Actress” from the Academy Awards for her role in Lady Sings the Blues, where she played Billie Holiday. She did not win that award; however, she did win a Golden Globe Award for her performance. Ross also won a Tony Award for her one-woman show, An Evening with Diana Ross. Through her career she had twelve Grammy award nominations; however she never won the coveted award. Also, Diana Ross is one of the few celebrities who have two stars on the Hollywood Walk of Fame, one for her solo career and another as a member of the “The Supremes.” Including her work with The Supremes, Diana Ross released a total of 67 albums throughout her career. 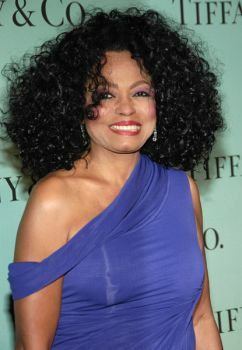 Diana Ross currently lives in West Hollywood, California. J. Randy Taraborrelli, Diana Ross: An Unauthorized Biography (New York: Citadel Press, 2007); Mark Ribowsky, The Supremes: A Saga of Motown Dreams, Success, and Betrayal (Cambridge, MA: De Capo Press, 2009); www.dianaross.de/; http://www.biography.com/articles/Diana-Ross-9464240; .http://www.billboard.com.